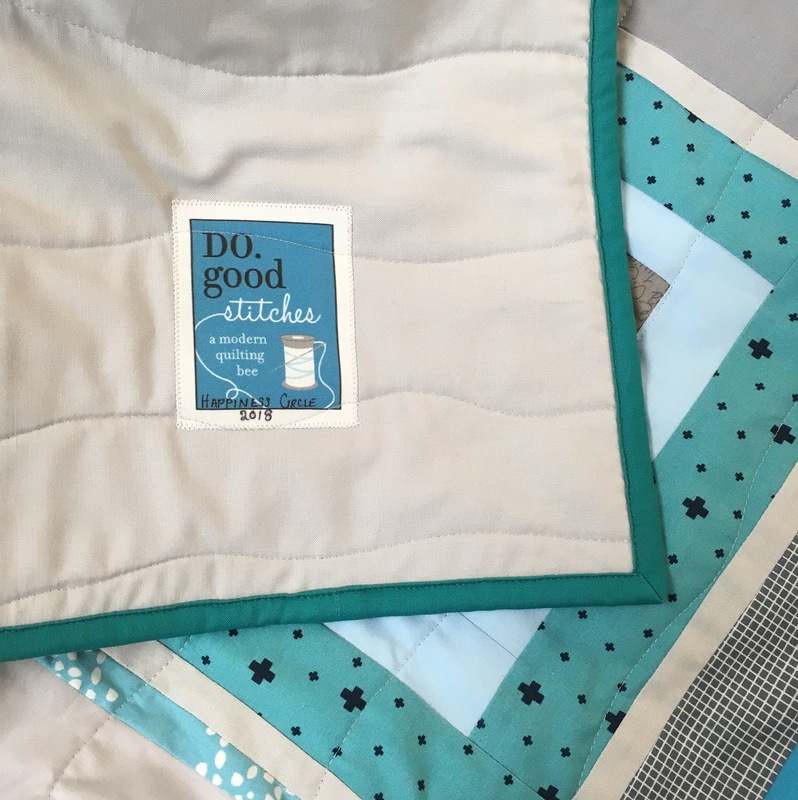 Last September was the quilter for our Do Good Stitches group - the Happiness Circle. So I chose a wonky, improv type log cabin. 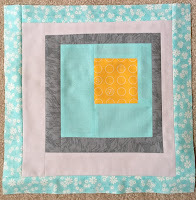 The colour scheme was turquoise/aquas and greys with the centre blocks being a red or yellow. 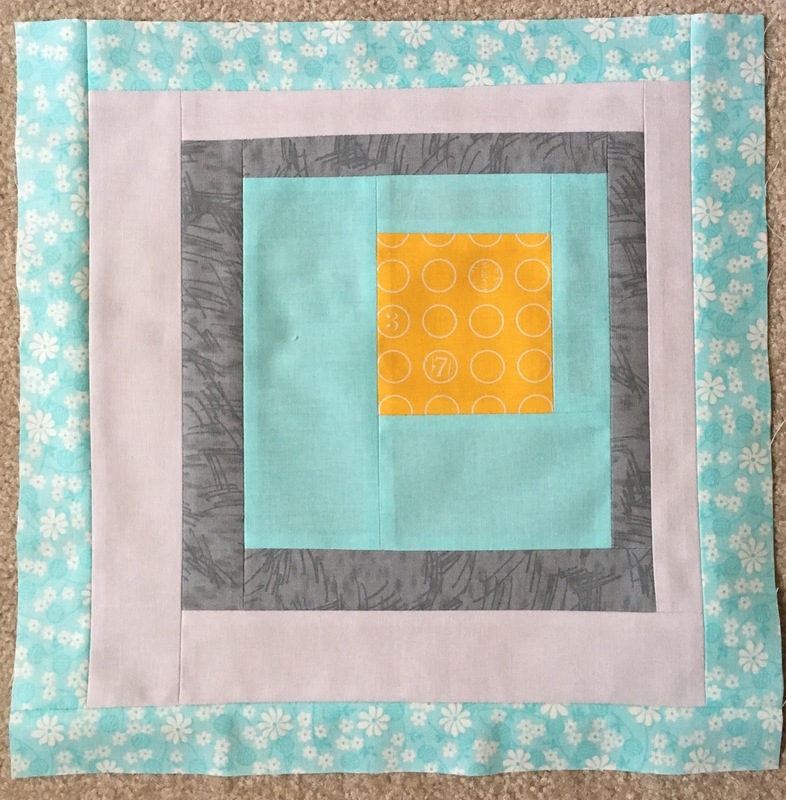 Here are the two blocks I made for the quilt. 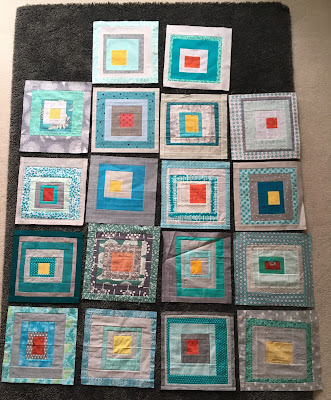 And here are all the blocks I received. 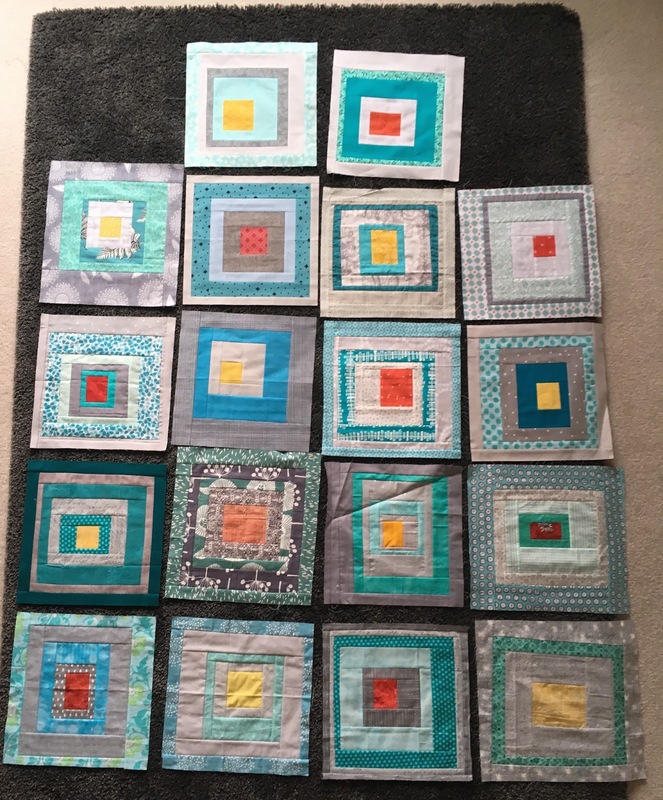 Our group is not quite 12 so I was lacking a few, but luckily I have enough of these colours in my stash to make up the blocks. 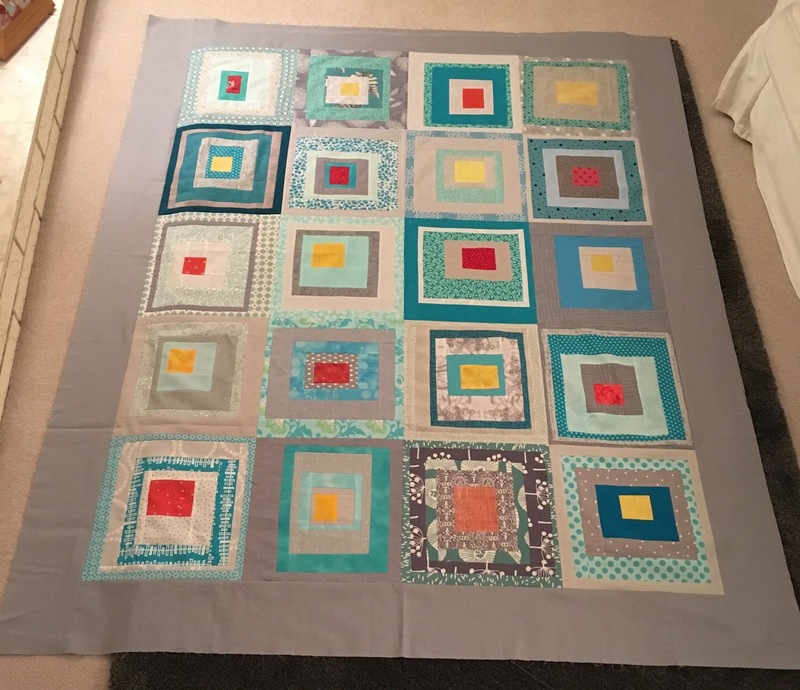 To make it a little bigger I decided to add a border around the edge and I had some Kona ash that worked well and made it just the right size. 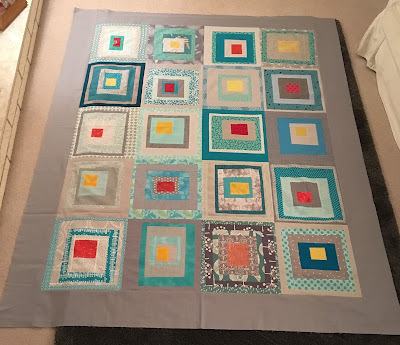 As usual, I didn't have enough of a single fabric for the backing. 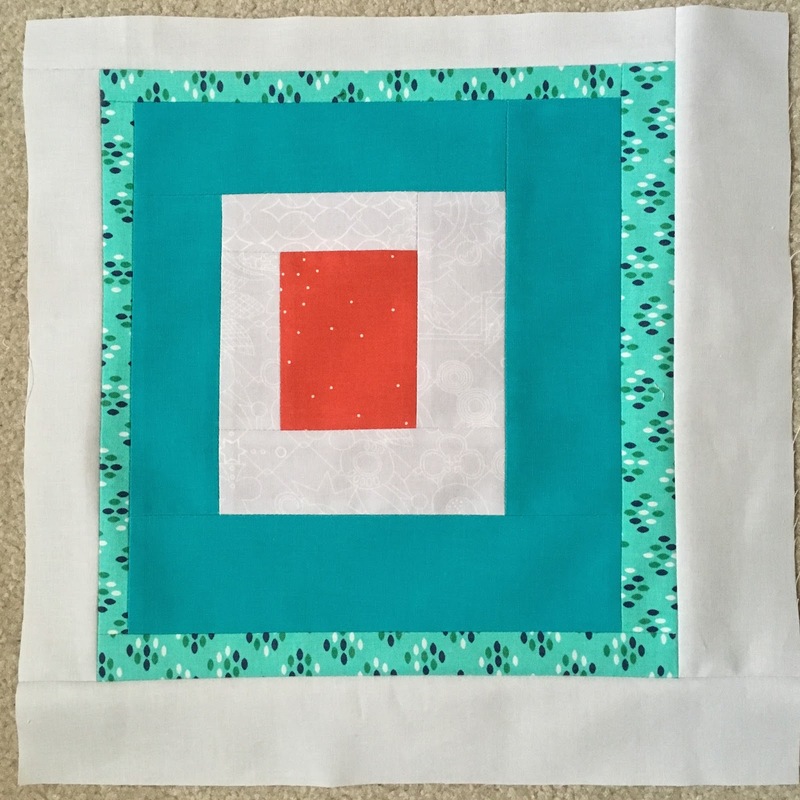 So I made a back in the style of the front - a large log cabin block. I am trying to use up some of the fabrics I have had for a long time, so this was perfect. I rather like the large style block. Having done several quilts lately that required lots of quilting I was ready for a fast finish, so I kept the quilting simple on this quilt. 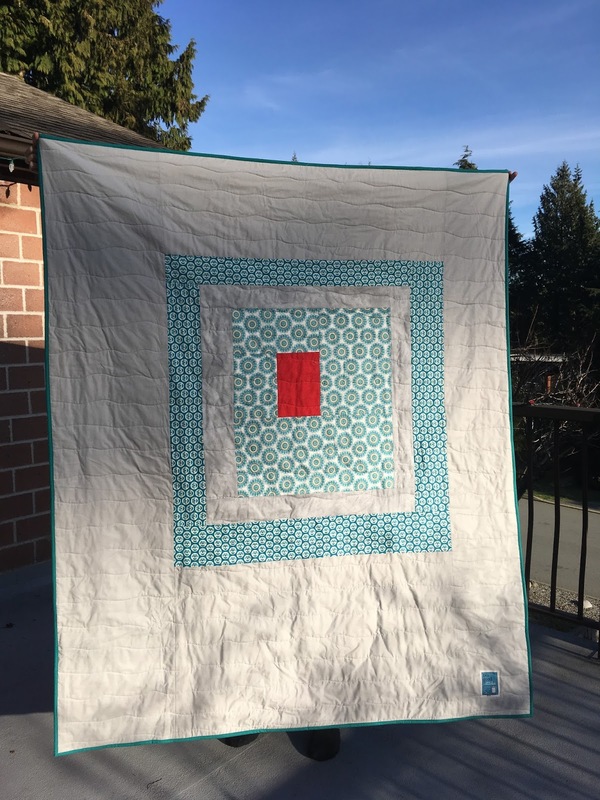 I did organic lines across the quilt, super fast! And look a label. I am terrible at labeling quilts. But this was simple as I was sent this little label and just had to attach it. They are perfect. 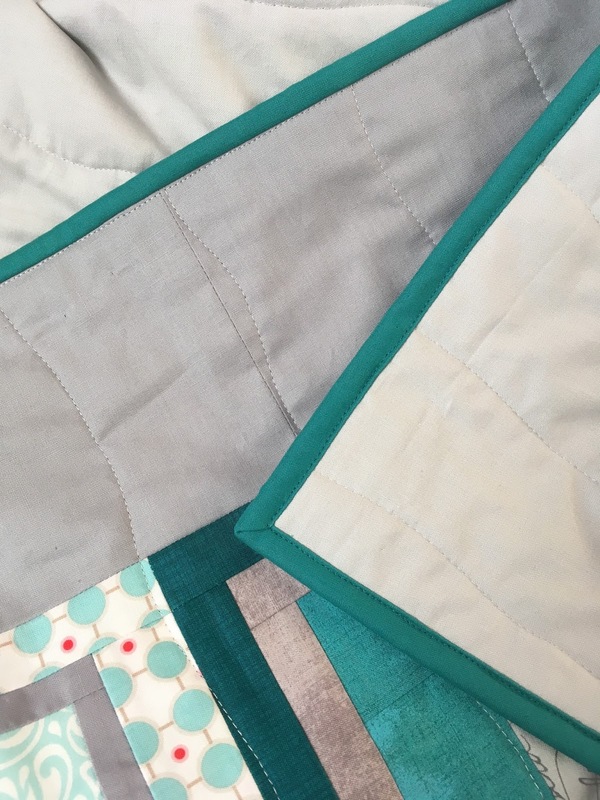 When binding a quilt I usually opt to machine stitch the binding in place and then finish by hand. But this time I thought I would try sewing the binding down by machine. I have done this before but find I have to take it out more times than I can bare because it just doesn't work well. But this time it went like a dream, I couldn't believe it. No seam ripping!! And there we have it, another finished quilt ready for giving to a charity - just need to decide which one. 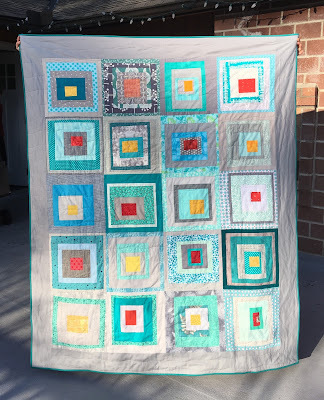 This was one of the projects on my Finish-a-long list for this first quarter! So good to tick another one off the list. I love the echo of the front as the back! 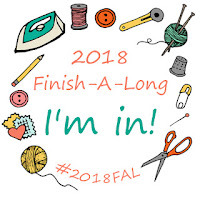 On behalf of the Finish-A-Long crew, congrats on the finish and thank you for joining in! 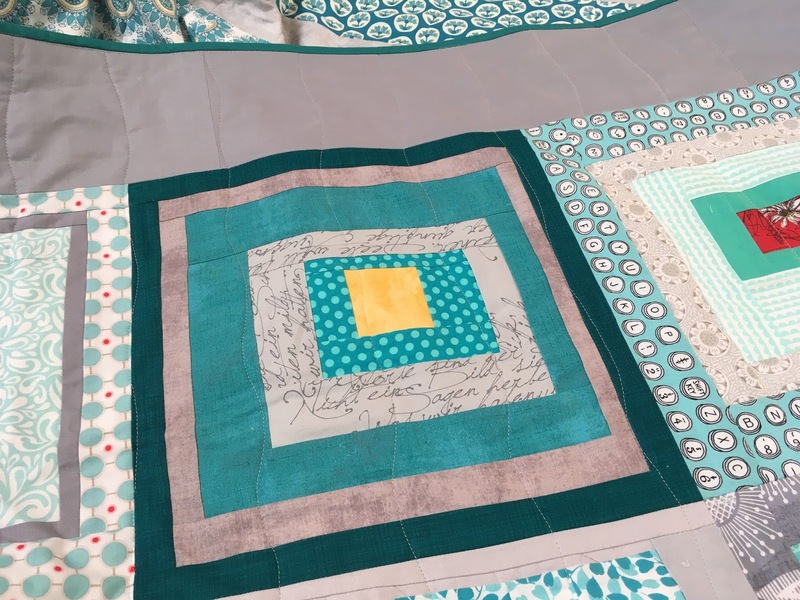 So when I saw your quilt on the FAL linky party, I thought "That would be a great quilt for do.good stitches!" And it is! 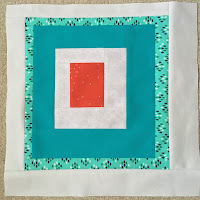 :) I'm in the Harmony Group -- I'm the quilter this month so I'm awaiting blocks to arrive in the mail. So fun! Cute label too! Love your color scheme! Congratulations on your finish!